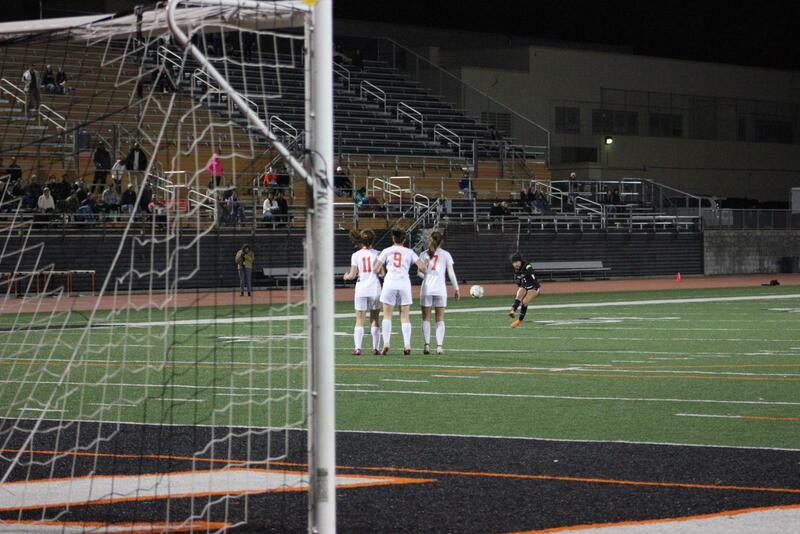 In the team's last attempts to score, Alyssa Elias '19 receives a free kick just outside the goal box. 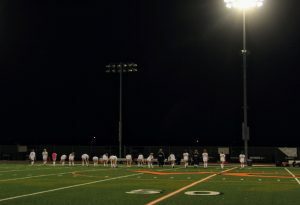 Girls’ CIF soccer game from The Foothill Dragon Press on Vimeo. The game wasn’t any different. 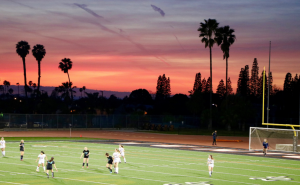 There were still two 40-minute halves and 11 girls on the field. Even their home turf, the Ventura College stadium, was the same. But on Feb. 7, there was much more on the line for the Dragons. 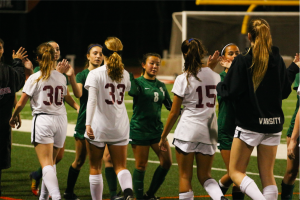 They had a strong run in league play, finishing with a 7-1 record and sharing the co-champion title with the La Reina Regents. 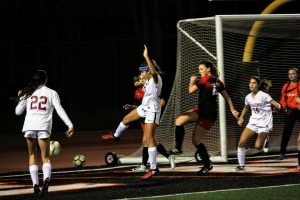 From the opening kickoff of the first round of the California Interscholastic Federation (CIF) Division IV playoffs match, the Polytechnic Panthers out-possessed the home team. The ball remained on the Dragon’s side of the field for a majority of the time. 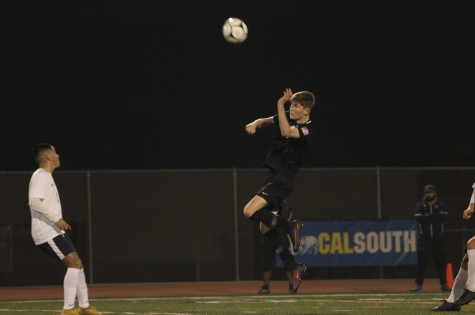 Taking advantage of the Dragons’ inability to settle in, the Panthers had their first opportunity of the game from a cross that almost found its way to the back of the net. The next 15 minutes continued in the same manner, with an occasional offensive possession, but no real rhythm or continuity. 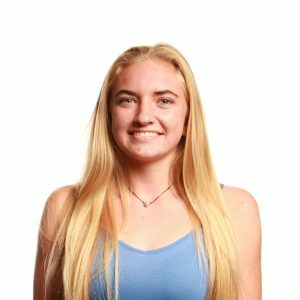 Numerous saves from goalkeeper Keara Fitzgerald ‘20 kept the score neutral, despite many corner kicks and mix-ups in front of the box. 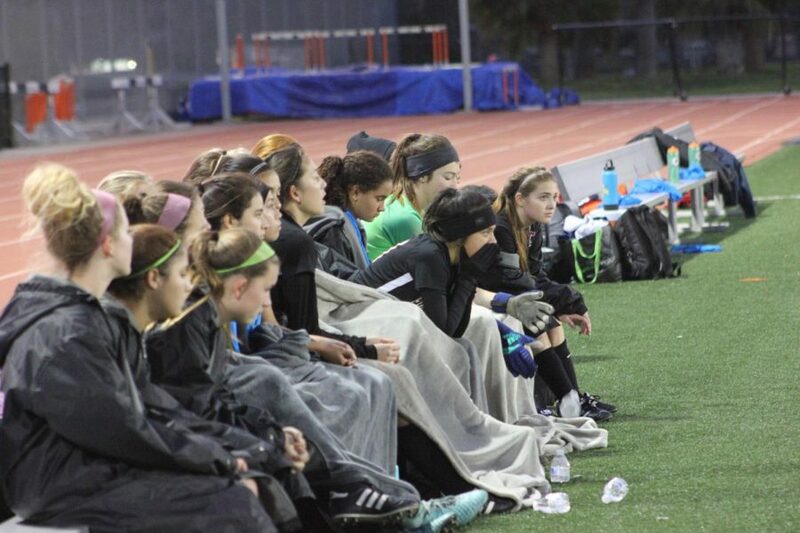 The girls listen to their coach during halftime. A lack of defensive communication and strategic placement left the Panthers’ numbers up with comfortable shooting opportunities. Among many other great saves, a second ball slipped past Fitzgerald. 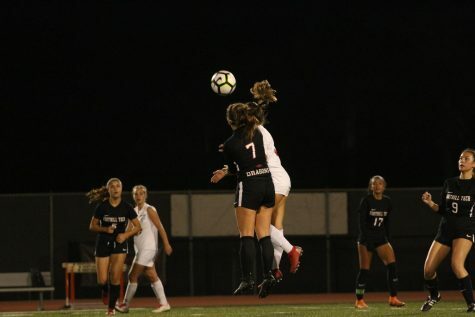 One of the Panthers’ forwards carried the ball between the defensive line for a shot that was almost covered, but it was knocked out of the keeper’s hands at the last second, where another forward was left open to finish the ball. Flustered and feeling defeated the Dragons reconvened at their bench, hoping to claw their way back from a 2-0 deficit at halftime. The players felt the same energy. 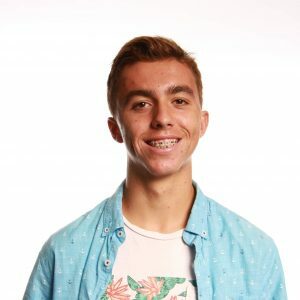 Elias felt that ”mentally, we were all getting frustrated,” and they let their worries about the fact that “if you lose you go home” impact their confidence. 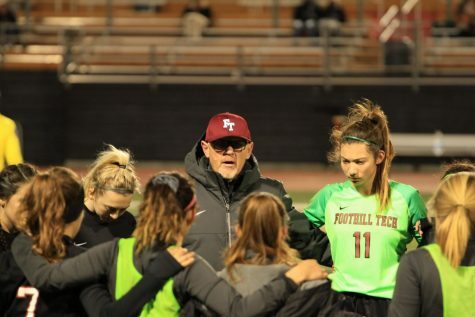 Fitzgerald noticed that those same feelings “dampened our play in the first half,” but the communication at halftime caused them to all “[hold] each other accountable” and not give up without a fight. A completely different team came out in the second half. 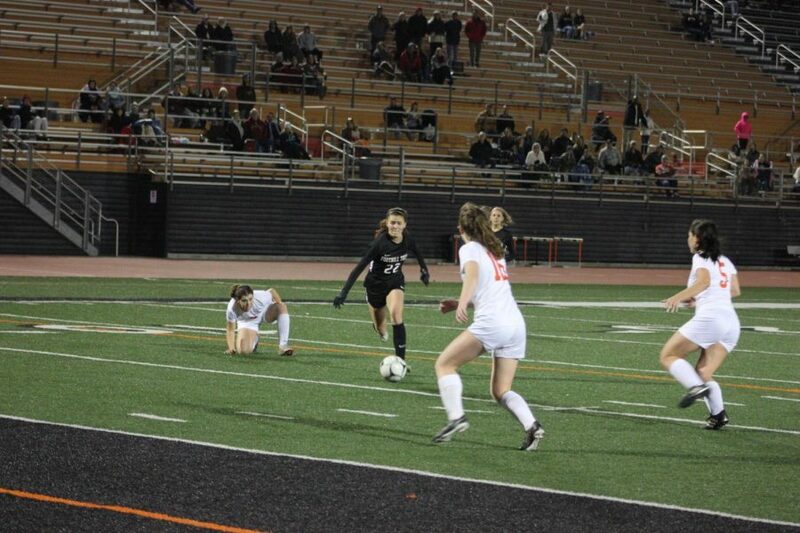 More aggression on loose balls in the middle of the field led to many more opportunities, starting with a corner kick with too much strength that ended up over the stack of girls in the middle of the box. 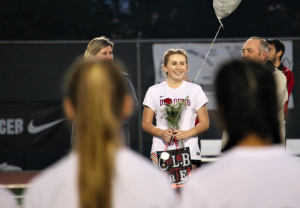 It was quickly followed by a second corner kick that soared just past the near side post, in the perfect place to be tapped in by Ava Sivoraraj ‘20. Sivoraraj, along with the rest of the front line, raced back to their side of the field with huge smiles, eager to tie the score. Grace Combs ’20 enters the goal box and tries to score. 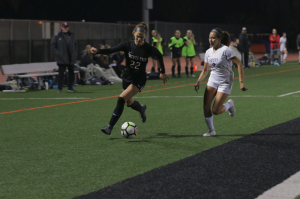 Amongst nail-biter opportunities from each team, the Panthers carried the ball up the field and dribbled to the outside to create a one-on-one situation just outside the right corner of the 18-yard box. A high ball that looked like a cross found its way into the top left corner of the net, just over the hands of Fitzgerald, putting the Panthers up 3-1. Even though they “really picked it up” in the second half, they ”dug ourselves into a hole we couldn’t really come out of,” according to Fitzgerald. The Dragons were quick to counter with possession in the midfield by Diaz led to a cross into the middle of the box by Grace Combs ‘20. Elias made contact with the ball and finished it into the back of the net, shortening the gap to just a single goal. In the perspective of Elias, the early goals by the Panther meant that they had to “work ten times harder” and by the end of the second half, they were outworked. “If we play 80 minutes like that, it’s not even a game,” Craig said. A lull of energy from the Dragons, followed by a missed free kick outside the box, contributed to the 3-2 defeat. “Instead of playing our game we ended up playing into their game in the first half,” Elias said.